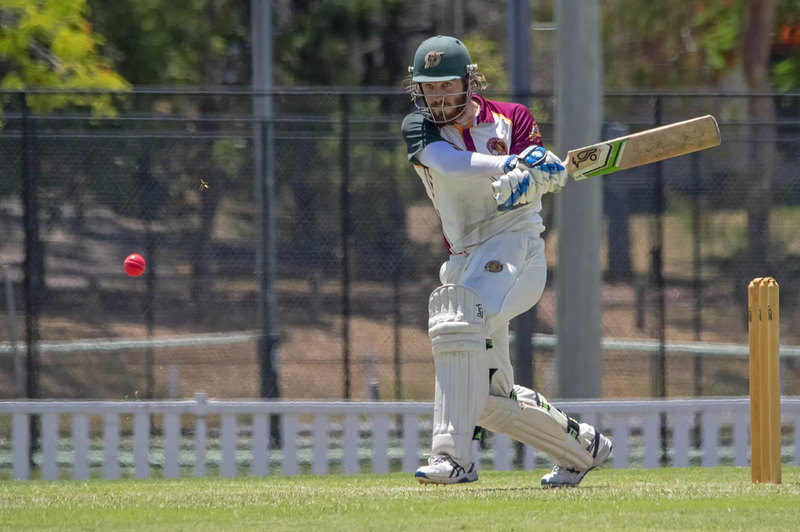 Two day cricket returned for 2019 at the weekend with clashes against Ipswich/ Logan and Northern Suburbs. First grade will need to chase down 254 for victory next weekend against Ipswich/ Logan following a slow opening day in the field. Josh Arnold led the way for Redlands, claiming five wickets for just 28 runs during his 13 over spell. Second grade have already claimed first innings points against Ipswich/ Logan after the Tigers’ quicks made light work of the visitors’ batting line up. Wickets were shared across the board, but it was Josh Thompson (3/35) that claimed top spoils. He was ably supported by Luke Haegel (2/24), Jimmy Carr (2/12) and Josh Fraser (2/15). Third grade sit in a relatively comfortable position after an indifferent first day which saw the Tigers find their way to 210 following a shaky start. Stephan Muller (101) rescued the innings with his second century of the season and first in third grade. James Vidal (30) and David Brook (26) also gave the innings some impetus during an important period of the game. Fourth grade had an incredible day on Fred Kratzmann Oval, dismissing Ipswich/ Logan for 56 after winning the toss and electing to bowl. Jordan Crick (3/0), Wayne Todman (2/5), Alex Ward (2/14) and Matt Short (2/23) did the damage with the ball before Paul Bonney took to the crease in pursuit of the opposition’s meager first innings total, chasing the runs in just the 5th over of the innings. Bonney dispatched the travelling quicks to all parts of the ground on his way to 57 from 20 deliveries. Redlands declared with 132 on the board an hour after tea and had the visitors reeling at 4/27 by stumps. Sixth grade one require 208 for victory next weekend on Ron field Oval against Northern Suburbs. Some wayward bowling allowed the opposition to get away to a strong start after they were sent into bat, but Ryan Short (2/13) and Ben Lockwood (2/55) brought the Tigers back into the contest with some tidy spells after tea. At stumps Tigers are 0/20 with Greg Morton and Will Read unbeaten on 11 and 8 respectively. Sixth grade two continued their push for the premiership in fine style, dismissing a strong Western Suburbs outfit for 160. Ben Thompson (3/40), Shane Beu (3/17) and Zac Maguire (2/12) were the stand out performers with the ball. The Tigers knocked off 40 runs before stumps and sit in a dominant position going into day two. Sixth grade three successfully defended their first innings total through the bowling of Carter Pearson (four wickets) and Jason Lau (two wickets), who helped Tigers dismiss Ferny Districts for 145. The Redlands Tigers T20 cup team are through to the final after taking out both the sudden death quarter and semi-finals played on Sunday. In the quarter-final against Valley, the Tigers successfully defended 155. Mitch Drennan (54) and Paul Bonney (41) set the tone with fantastic innings at the top of the Tigers batting order before Josh Fraser brought the game home with a fantastic four over spell that yielded four wickets. Redlands batted first once again in the semi final against University of Queensland on Peter Burge Oval, setting the visitors 132 for victory. Jesse Burns (32), Mitch Drennan (30) and Scott McAuliffe (20) top scored for Redlands, while with the ball Shane Beu (2/21) and Josh Thompson (2/22) helped see the Tigers over the line and through to next Sunday’s Grand Final. The Redlands Tigers ladies side returned for the first time this year on Sunday against the old enemy away from home. After losing the toss and being sent into bat first, the Tigers were dismissed for 87. Jesica Pang (27) and Delyse Laycock (10) were the only Tigers batters to go past double figures. Wynnum surpassed Redlands’ total in the 21st over of play with only Stephanie Maxwell claiming a wicket.